The second song from their "Walking on a Dream" album. #68 on the 2008 Triple J hottest 100 and reached the Australian Top 40. 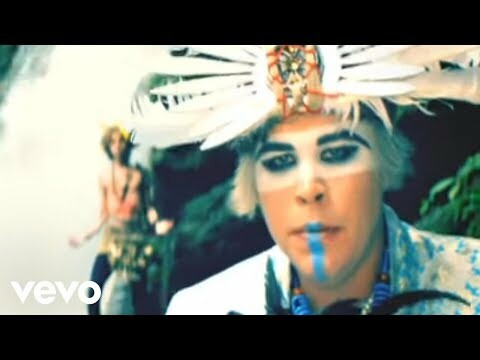 Empire Of The Sun are Aussie electro duo Luke Steele (from the band The Sleepy Jackson) and producer Nick Littlemore (of Australian dance music duo Pnau). The video for 'We Are The People' was shot in Mexico and the track hit the UK top twenty in June 2009.